If I were a reporter at The New York Times — and they include many of the world’s best — I’d be piping mad right now. Because its editorial page just tarnished each and every section of a 166-year-old brand, at least to this long-time reader. The Gray Lady’s editorial slant is no secret. Its opinion page is famously liberal. But the decision by editorial editors Wednesday to enter into direct political marketing crossed an important ethical line that was once considered a trench. It reflects badly on the whole news organization. After editorializing against passage of a Republican Senate tax cut proposal in Washington — fair game — editors took to Twitter to urge 650,000 @nytopinion followers to call specific senators and tell them to vote “no” on Wednesday’s procedural vote to move the bill forward. It listed each of the senators’ Washington and district telephone numbers. That’s what political action committees do — not iconic newspapers. Not heretofore. Editorial pages right, left and center appropriately weigh in on the political playing field every day. What The Times did Wednesday was enter the game itself. It stepped onto the field as a player for the first time. Economics: Our digital subscriber growth has gone through the roof since Trump was elected. Riling our anti-Trump readership base is an economic growth model. Whatever the rationale, the decision will set dangerous precedent across the news industry, if not urgently retracted. News organizations following suit could quickly, if unwarily, slide into the realm of special interest entities. No matter how opinionated a news organization may be, that’s a very different animal. I’ve been a New York Times subscriber for the past three decades. But I haven’t cracked its editorial page in years. Reading the Times’s daily editorial, as a political conservative, is nearly as pointless as it is irritating. I pretty much know what it’s going to say. I read the Times because of what’s on its other pages — great reporting. No newspaper in the world can match the Times in breadth, scope or in international resources. I don’t always love its political coverage. Much of it is slanted in my opinion…an increasing amount I would argue. But it demands attention and respect because of the work put into the product. The editorial page just put that in jeopardy. Its decision effectively rebrands the Gray Lady as a political organism rather than a news gathering organization, inviting cynicism into every word it produces. That’s a direction in which the Times has admittedly been moving, but Wednesday’s action made it official in a dramatic and counterproductive way. 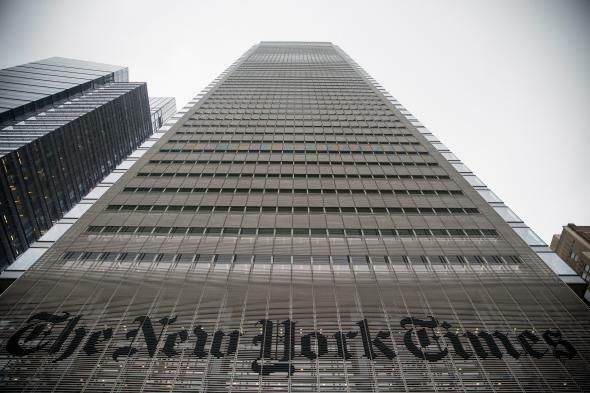 The New York Times is an institution not because of its ivory tower polemicizing, but because of its shoe-leather reporting. Someone there seems to have forgotten that. It should rethink its decision for its readers, and especially for its writers. They both deserve better.